The plate is trackable and can notify people on the road if your car is stolen but that also poses questions about privacy. SPOKANE, Wash. -- Drivers in California now have the option to go high-tech with their license plates. The new digital plates save drivers time at the DMV but they cost a pretty penny. This new technology is being tested in California right now and Washington could be next. It is called the Reviver Plate. 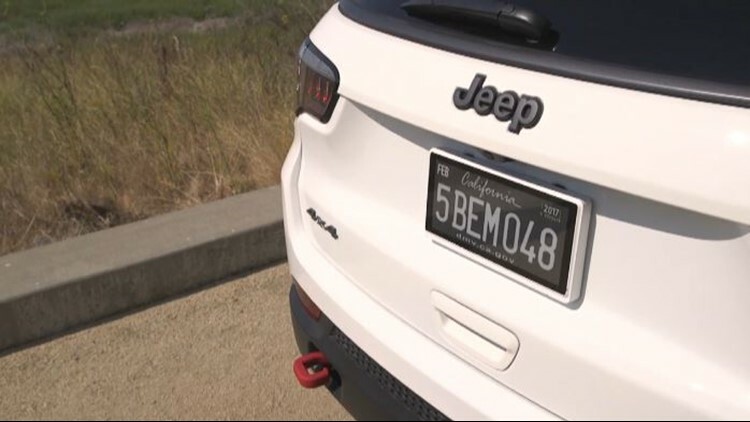 The first ever digital license plate gives users control through their phone. It can customize messages, show support for charity, and even displays Amber Alerts. The biggest selling point for most is no more waiting around at the DMV. You can electronically register your car and never repurchase vehicle registration tags because the plate would automatically update. It comes at the price of $699. The plate is trackable and can notify people on the road if your car is stolen but that also poses questions about privacy. People can control their own privacy setting and turn location services off at any time. Reviver Auto claims your data will be safe and never shared with the DMV, law enforcement or any other third party. The plate wires into the back of the car so no need to replace batteries. The pilot program in California is leading the way for states like Texas and Arizona. If the Department of Licensing in Washington approves it, the technology could be coming to a bumper near you.